Avengers Infinity War left the universe (and cinema audiences) traumatised and in shock. The movie also left very few heroes still alive. One of the greatest and most powerful of those is Hulk, aka Bruce Banner’s alter-ego. However, new revelations by the directors Joe and Anthony Russo mean this might be the end of Hulk as we know him. Is this really the end for the not-so-jolly green giant? 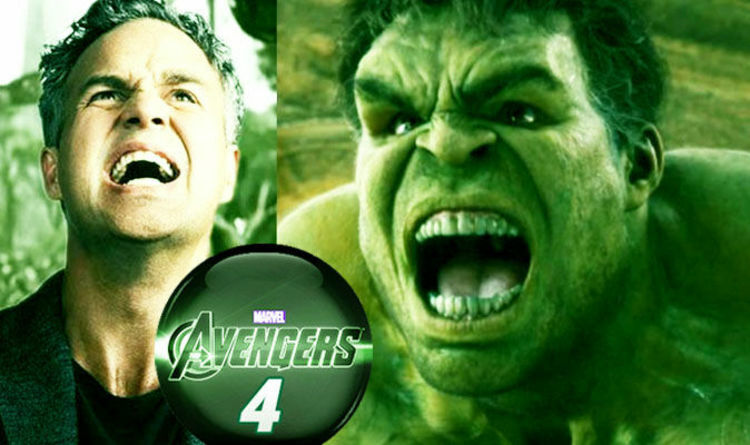 Banner struggles throughout the movie to get Hulk to come out and join the battle but he refuses – even when he is most desperately needed and the entire universe is at risk. Has Hulk changed forever? The new comments by the directors on the Infinity War home entertainment live commentaries are extremely worrying. They also tie in with speculation generated by the new look Hulk on the first official promo artwork. AVENGERS 4: ‘SECRET AVENGERS’ REVEALED: GUESS WHO THEY ARE? Joe Russo said: “This was an interesting journey we went on with Banner, trying to decide how we move him forward in the Marvel Universe. “What makes him unique as a character is that there is a host body that is being fought over by two distinct personalities who hate each other. And both want control of the host body. If Hulk is “no longer interested” in Hulking out, where does that leave the character? Is this the end of Hulk as we know him? The new promo art showed Hulk with softer more human feaures and new hair, leading many to speculate this is an entirely new incarnation alrady seen in the comics – the Professor Hulk.